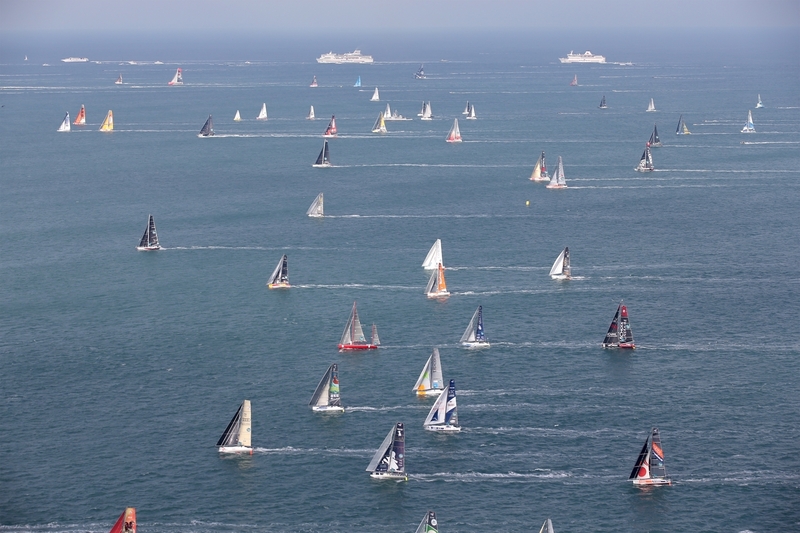 Of the 123 boats that crossed the start line on Sunday, 45 have headed for land. This includes 14 Class40s with a dismast aboard Narcos, a sister ship to Phil Sharp’s Imerys Clean Energy. “Then the next problem came. My boat alarm went off – I went inside to find a huge amount of water inside the boat, sloshing around. An access port in the ballast tank blew out, causing 500 litres of water to be released inside the boat. It took a long time to bail out and now I have bonded it back in with Sikaflex, so I am praying that it will hold. “At the moment my computer won’t turn on so I am unable to access weather or positions. I will need to climb into the electronics tunnel and find the problem asap.” Commented Phil. The next few days will be the most critical, if the skippers can pass through the storm safely they’ll be through the worst of the expected conditions for this race. Send Phil a message of support and track his progress over at www.philsharpracing.com.